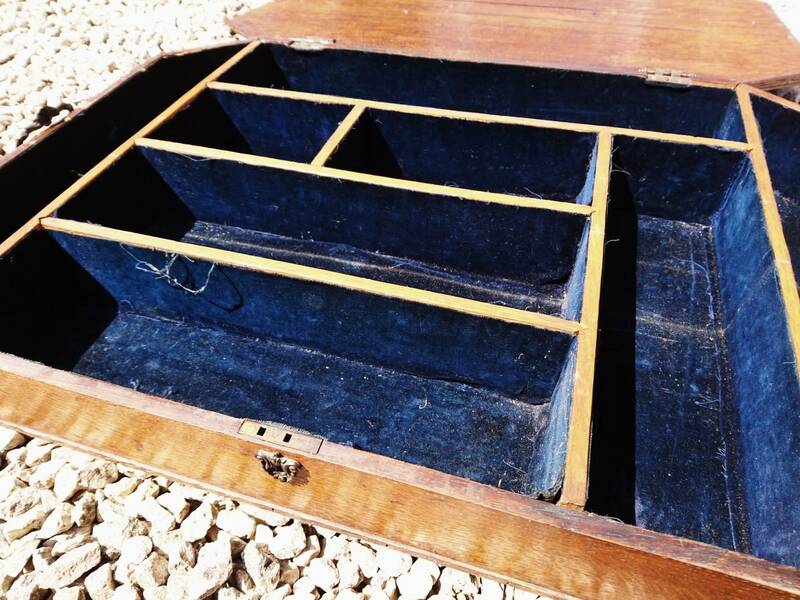 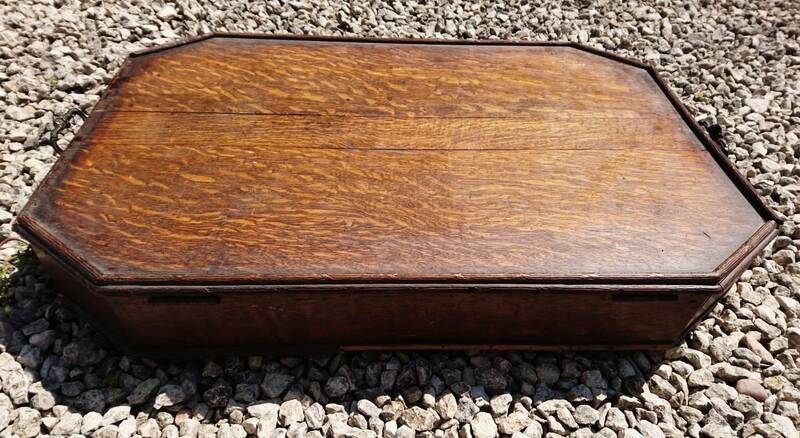 An incredible grand Victorian oak cutlery box, it is huge and lined with a blue velvet lining. 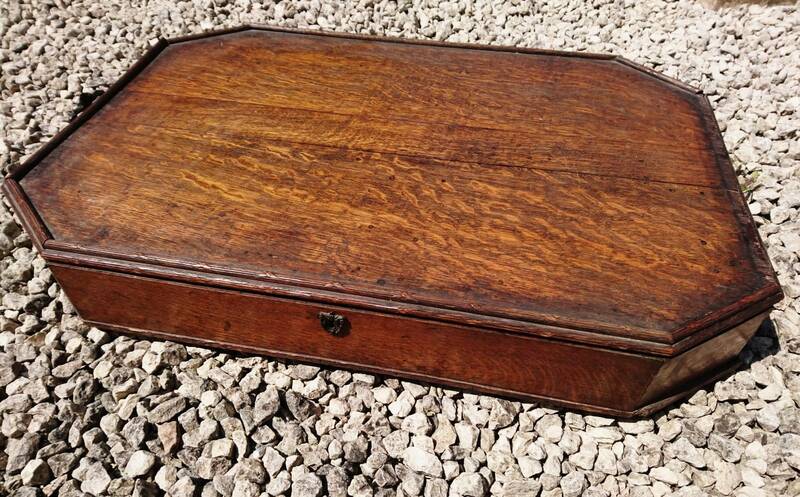 Designed to hold a huge canteen of cutlery or mixed cutlery, it likely belonged in a stately home with a very large working kitchen. 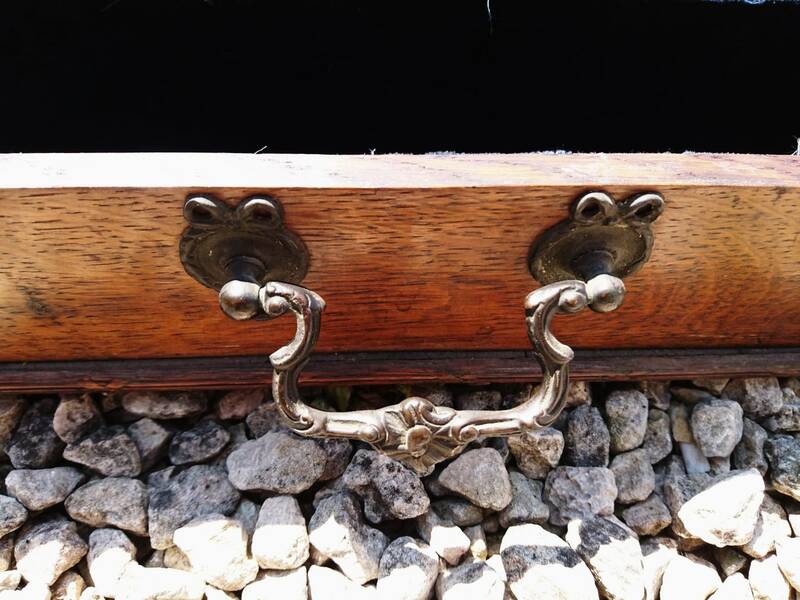 It is crafted from solid oak with tonnes of fantastic antique patina, it has a reeded and engraved overlay border on the top, some of this is missing but it could be repaired or left as is. 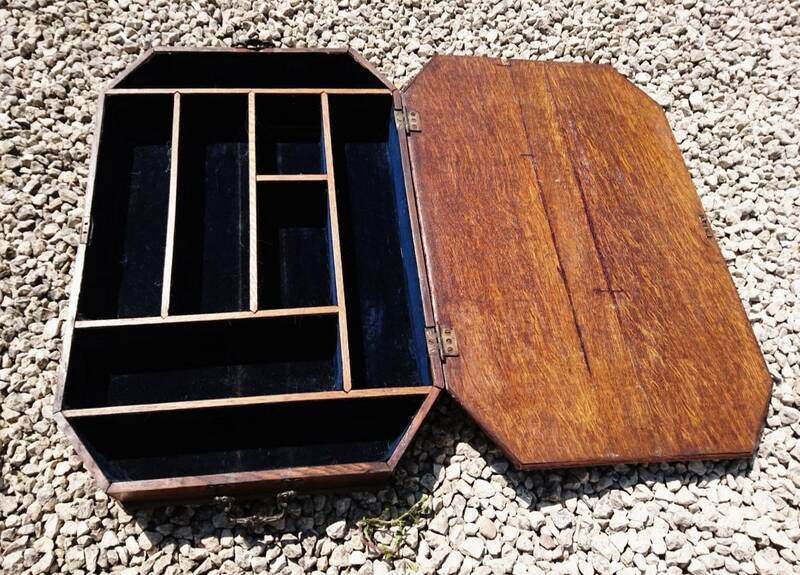 The box is cut in a decorative shape with large metal handles to carry it either end, there is a lock but no key and it is fully lined inside with different compartments for different cutlery. 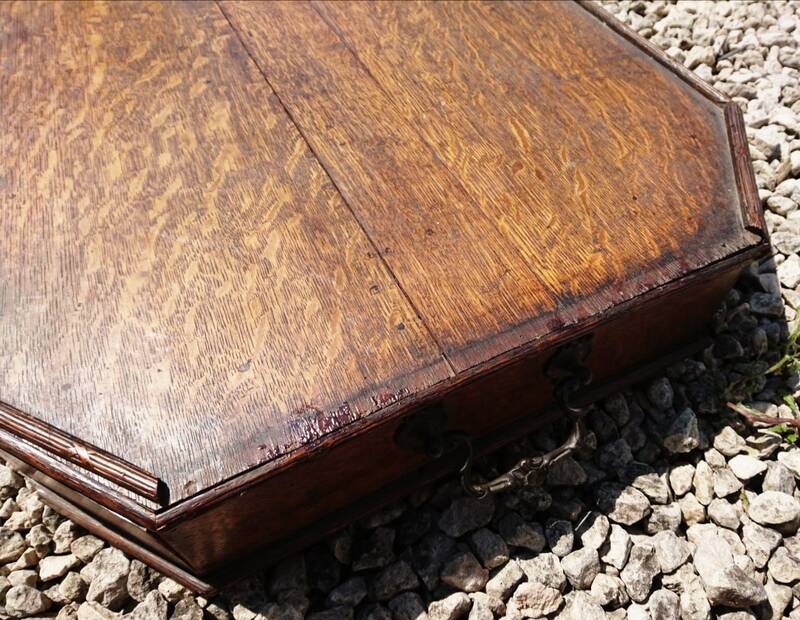 A superb large and rustic piece for the kitchen or dining room, perfect for dinner parties etc.